Living both a healthy and sustainable lifestyle can be expensive and inconvenient. It's no wonder why single-use plastics have infiltrated every moment of our days. Additionally, we aim to source the majority of our utensil stock through donations from closing or rebranding businesses, diverting waste directly and preventing plastic from entering the market through our service. We’re planning a pilot launch and want to know where you would like to see this. Simply sign up your city, share with your friends, and stay tuned! Where should we launch a pilot? Thank you for sharing where you'd like to see a pilot launch. We'd love for you to share with your friends--the more input, the merrier! 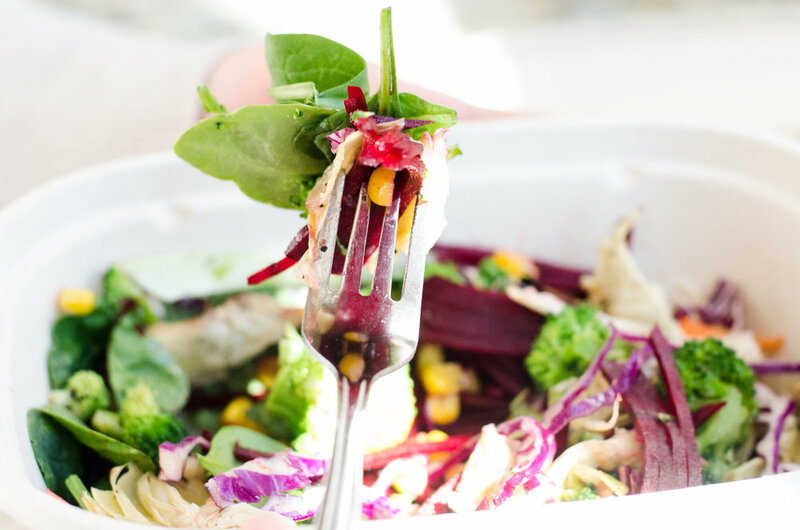 You can now offer a metal fork for that salad to go and your customers can enjoy a better eating experience; metal works better! You are also saving a plastic utensil from cluttering a landfill or poisoning our water supply--thank you! Are you an office space owner, grocery store manager, city official and want to support this effort? Join the community and help make depositing utensils after use convenient by hosting a deposit. Anyone and everyone can play a part! This cycle is made possible by forward thinking brands and chains everywhere. By donating utensils once they are no longer needed, you are directly reducing landfill waste and preventing plastic waste through redistribution. Hear what people are saying about Borrowed Good in their communities.